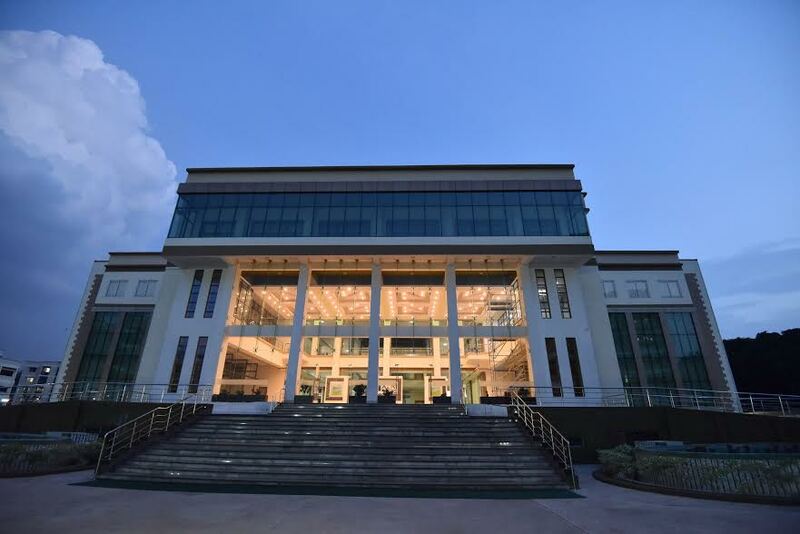 New Delhi: XLRI- Xavier School of Management has successfully placed its outgoing batch of 2015-17 of its flagship programme Two-year Postgraduate Diploma in Management – HRM and BM comprising of 359 students. The Final Recruitment process saw participation from 139 recruiters with 386 offers, inclusive of 42 first time recruiters/roles. o Total Number of PPOs received: 121.
o The median salary offered to the batch is INR 19.00 lakhs per annum while the while the average is INR 19.21 lakhs. Human Resources and Industrial Relations has for the longest time now been an immensely renowned degree offered by XLRI with most number of CHROs in the corporate space being its alumni. XLRI prides itself in the breadth of HR roles it brings on campus, spanning the FMCG, BFSI, Technology, Consulting sectors. Reputed Management Consulting firms such as The Boston Consulting Group, McKinsey & Co., Accenture Strategy have continued to recruit students from XLRI. This year, XLRI has also seen an increased participation from industry majors such as Deloitte, Ernst & Young, Everest Group, Gallup, KPMG, Price Waterhouse Coopers, Infosys Global Consulting, Capgemini Consulting, Cognizant Business Consulting, Positive Moves and Zensar. Sales and Marketing opportunities offered by the FMCG sector have contributed to establishing XLRI as one of the most preferred recruitment destinations over the years. This year, was no different with industry majors like HUL, P&G, ITC, Mondelez, Nestle, Reckitt Benckiser, Coca Cola, PepsiCo, Asian Paints, Colgate Palmolive, AB InBev, Heinz, GSK CH, HCCB among others opening up roles in the Sales and Marketing space. The media sector too made its presence felt this Placement season, with Star TV and Bennett Coleman & Co. Ltd opening up multiple roles on campus. XLRI, this year has seen a huge increase in the number of technology management roles being offered on campus. Few of the firms that have recruited in this space include Uber, Directi, HCL, Capgemini, Infosys, Accenture, Tech Mahindra, Tata Sky and IBM among others. XLRI, with its students specializing in both the Human Resource and Business Management functions, continued to see reputed conglomerates such as Tata Sons Group (TAS), Aditya Birla Group, Mahindra & Mahindra, Reliance Industries, Lodha group, Future group, RPG among others recruiting students in good numbers for their General Management roles. In continuation with the positive growth of offers from the Financial space, that has been observed during the Summer Placements earlier in the year, XLRI has seen offers made by reputed firms in the financial sector. Students picked up PPOs from Investment banking roles offered by JPMC, Goldman Sachs and Avendus Capital. Recruiters from the BFSI space also include Citibank, Development Bank of Singapore, ICICI Bank, Yes Bank among others. ICICI Bank was the largest recruiter in this space. Students were also offered the wealth management role by Avendus Capital and Kotak Mahindra Bank. Other companies also visited campus offering PE, VC and IB roles. The Operations space at XLRI this year has been a major bright spot, with some of the best roles in this domain being offered on campus. Amazon BOLD, Uber, PayTM, Cloudtail, Rivigo are among the firms to have made offers to students this year.